I used to represent my school for basketball and I was a pretty decent player. I used to play it almost daily and trained hard physically for it too. That was more than 13 years ago. Recently, I represented my department in a 3-on-3 basketball competition. Did a few sessions of friendly games with friends to prepare for it, kept up my exercise regime to keep fit and I did okay. When I reached the court, I saw some dudes sprinting up and down the court, I knew this was the real deal. I was 15 minutes late and they have already started the game. Booking of OCBC Arena at Singapore Sports Hub costs money, so they didn’t waste time waiting for everyone to arrive before starting, moreover there were players enough to form 4 teams. I thought, it was 13 years since I last played 5-on-5 basketball! This would be pretty exciting! During the intermission, I jumped right into the next team and we started playing. The games were really painful (physically). I was considered the younger player in the team so I played as a forward and I was ‘supposed’ to dash up the court whenever we acted on a fastbreak. Needless to say, my skills were all over the place, shots were off and my immediate reaction after the game was to buy a ball to work on my shots and handling. The aches were secondary. The next day, my thighs ached and it felt good. I thought, it must have been a fantastic workout last night! I went for a morning workout in the community gym and I hopped onto the treadmill for my warm-up jog but my right groin pulled badly! Being fit doesn’t guarantee you to be injury-free. Clearly, what I did was way different and past my usual exercise routine. If I can remember, I sprinted at least 20-30 times up and down the basketball court, sometimes in different directions at maximal effort. The load that I placed on my thigh muscles from all that sprinting and swift change-of-directions were tremendous, nothing like my usual training. When you put sudden and/or excess load to your body, your body is going to react with increased muscle soreness of worse, injury. If I had done this a decade later, I might even tear a muscle, tendon or something like that! I didn’t warm up before my basketball game. Usually I don’t warm up before my aerobic exercises. That was a big mistake. There is research in soccer <link is broken/no longer available. Physio & Sole to advise if there is an alternative article to link> to justify the importance of warming up to prevent knee injury and it is currently implemented in most professional sporting teams. Judging from instinct, this was not the best decision. After my groin strain, I could sense the importance of warming up the strained muscle as starting ‘my engine’ to jog was a torture. 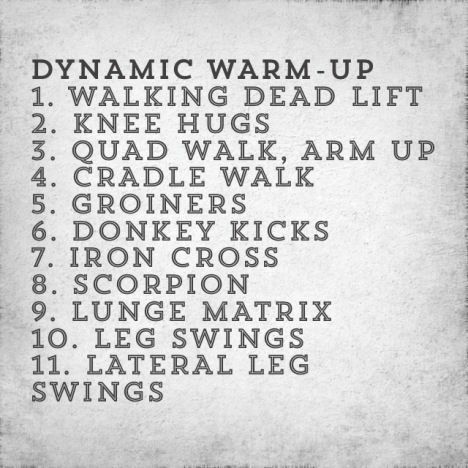 If you have no idea how to warm-up the right way, try this! Using my groin injury as a guide, I can jog with mild tightness after 11 days as my tissues are recovering and is possible to load it lightly with light jogging. Hence, I should be mindful that I do not exert 100% because the recovering tissues cannot handle the demand. On the other hand, I should not wait long enough till I feel 100% better before I start jogging, as I would have become significantly deconditioned and will take a longer time to return to my previous shape. Usually, you would require a Physiotherapist’s help to determine what you can or cannot do. If you are rehabilitating from your injury, make sure that you go through sports-specific functional exercises. A workout based on sitting on the bench or weights machine will not be enough to cope with your sporting demand. Most sports demand fast thinking, swift reaction, and strong muscles to move fast and change direction. These are the exact components that require training. There is probably no way you can prevent yourself from getting hurt (can you ever avoid stepping into a pothold (pothole?)?) but you definitely can reduce the chances of self-inflicted injury/re-injury, or making sure you can recover completedly from your injury by following the advice above!